Under Japanese law, Tokyo is designated as a to (都, often translated "metropolis"). Its administrative structure is similar to that of Japan's other prefectures. Within Tokyo lie dozens of smaller entities, most of them conventionally referred to as cities. It includes twenty-three special wards (特別区 -ku) which until 1943 comprised the city of Tokyo but are now separate, self-governing municipalities, each with a mayor and a council, and having the status of a city. In addition to these 23 municipalities, Tokyo also encompasses 26 more cities (市 -shi), five towns (町 -chō or machi), and eight villages (村 -son or -mura), each of which has a local government. The Tokyo Metropolitan Government is headed by a publicly-elected governor and metropolitan assembly. 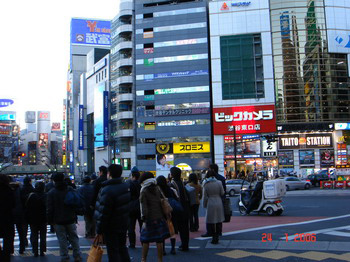 Its headquarters are in the ward of Shinjuku. They govern all of Tokyo, including lakes, rivers, dams, farms, remote islands, and national parks in addition to its famous neon jungle, skyscrapers and crowded subways. A neighborhood of Tokyo with parks, an enormous cemetery, expensive housing, trendy cafes and international restaurants. Includes the Omotesando subway station.